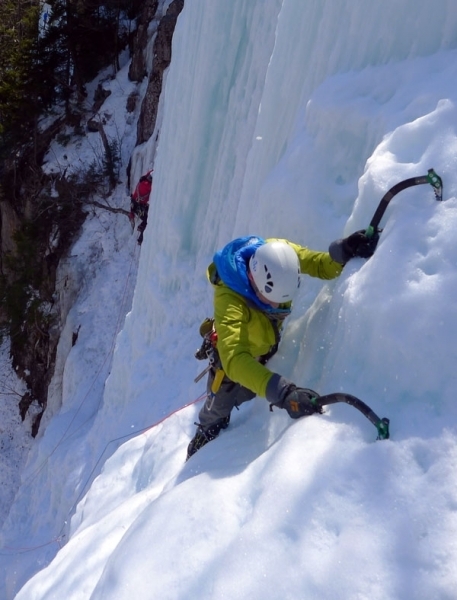 Kick-off party | Drytooling Competition | Clinics | Slideshows & Speaker Presentation | Raffle | Camaraderie! 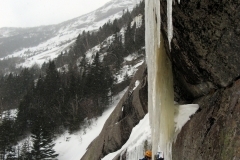 Free gear demos from the industries leading brands, clinics for the beginner to advanced climbers, multimedia slideshows by sponsored athletes, dry tooling competition and kick-off party, huge raffles and immense camaraderie in Vermont’s premier ice climbing destination, Smuggler’s Notch! 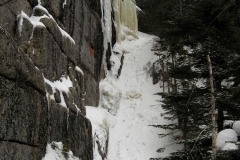 The raffle proceeds from the Smuggs Ice Bash will be going towards a much needed new rescue cache at Lake Willoughby. 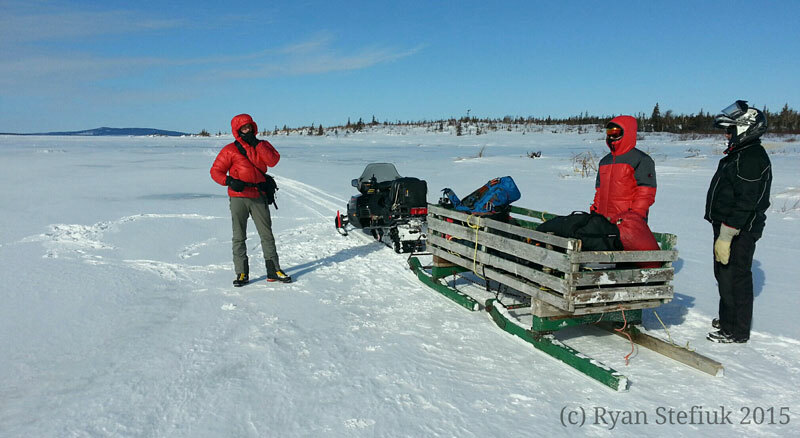 Last season the Rescue Cache on the South end was destroyed by ice. CRAG-VT has partnered with the AMC for a dollar-for-dollar match up to $400. 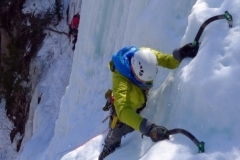 Head over to the Cragvt.org to learn more or to donate. We’ll have loads of great prizes for Friday and Saturday’raffles so don’t miss your chance to win while supporting a much needed cause. 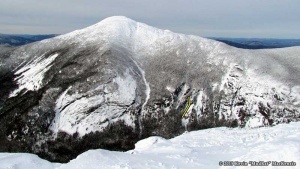 If you missed him in the Dacks, be sure to see his show in Smuggs. 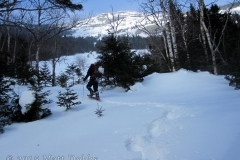 We have been waiting for winter and it is here! 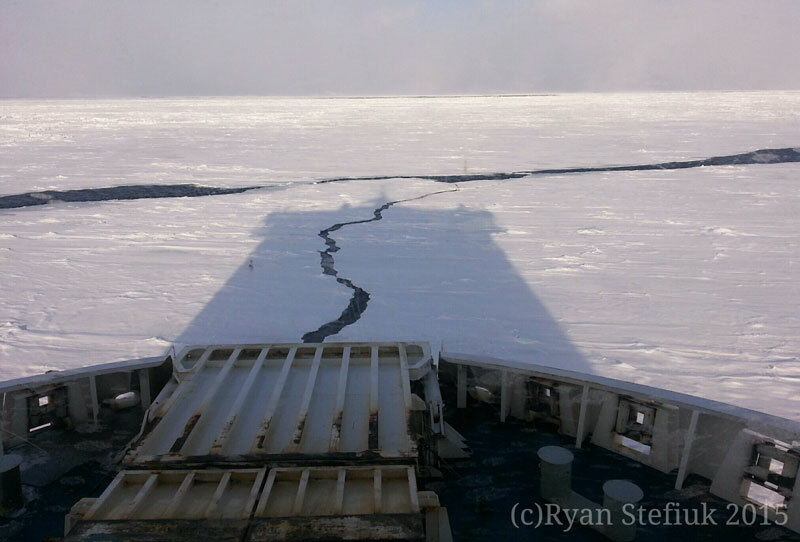 The ice is building and with very cold weather coming things are going to go OFF! 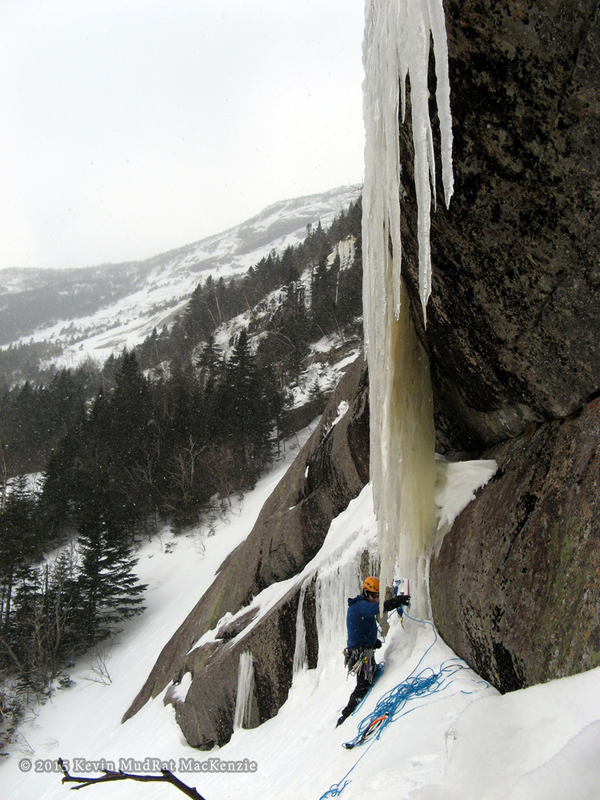 Next weekend should bring great conditions to most climbing areas. This was Solo’s first trip to “The Lake” and everything went well. 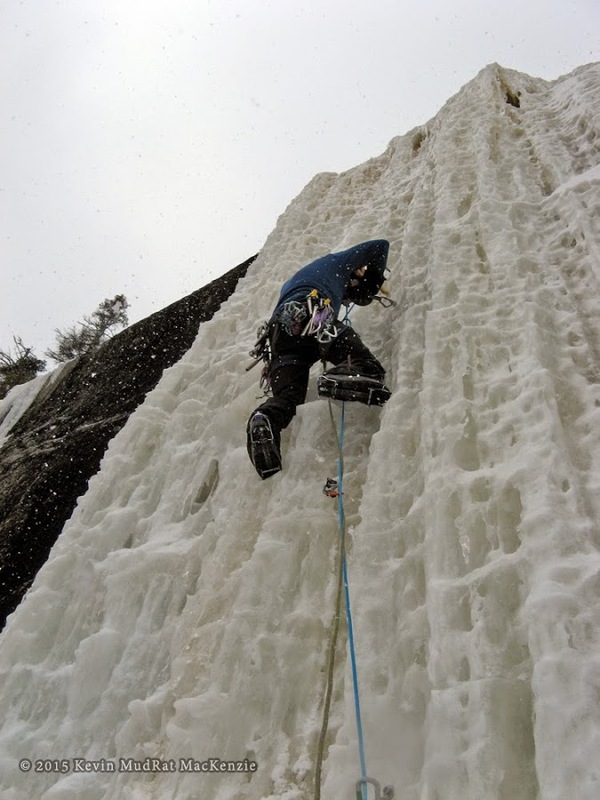 He was not intimated by the size of the ice climbs and can’t wait to return. 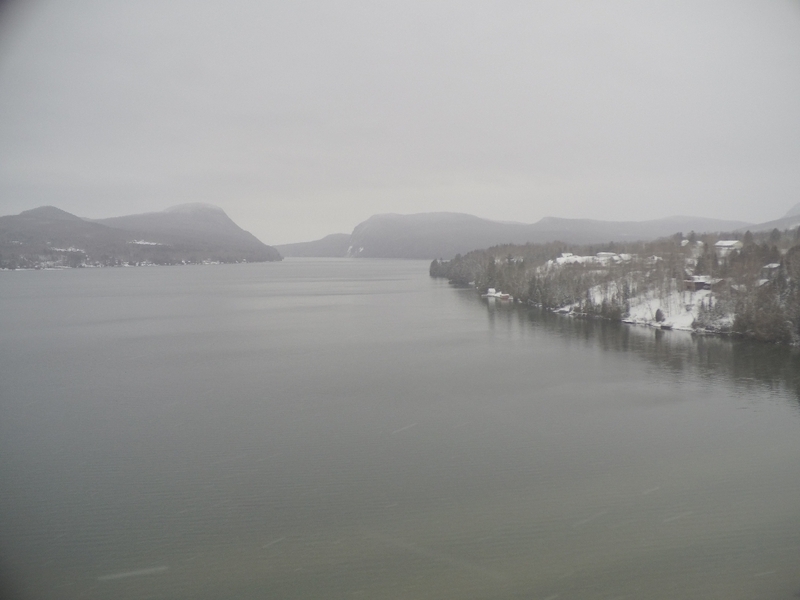 Here are a few photos from our flights. https://www.neice.com/wp-content/uploads/2016/01/GOPR9205.jpg 768 1024 NEice Admin https://www.neice.com/wp-content/uploads/2017/10/2012_NEice_logo_oval_blk6-1024x350-300x103.png NEice Admin2016-01-02 21:46:432016-01-02 21:46:43Solo's First Trip to "The Lake"
Plenty of water, all we need now is some cold. Please! December UPdate – What the f&@k? 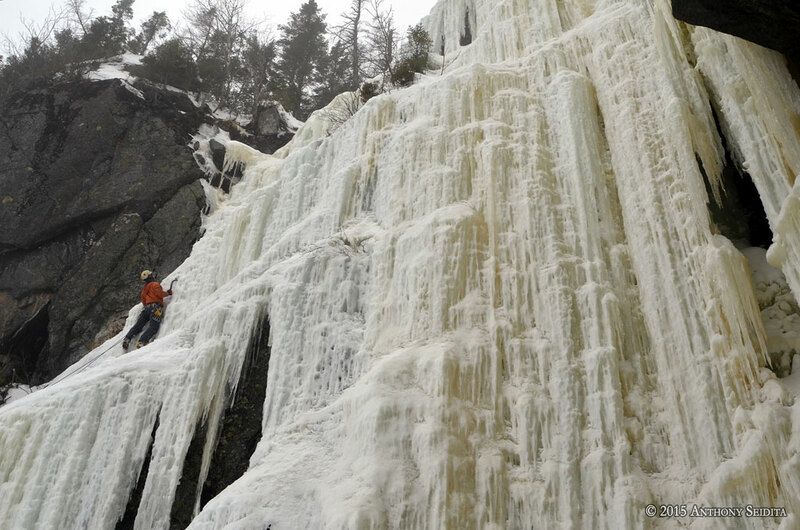 The beginning of this ice season has been anything but consistent. 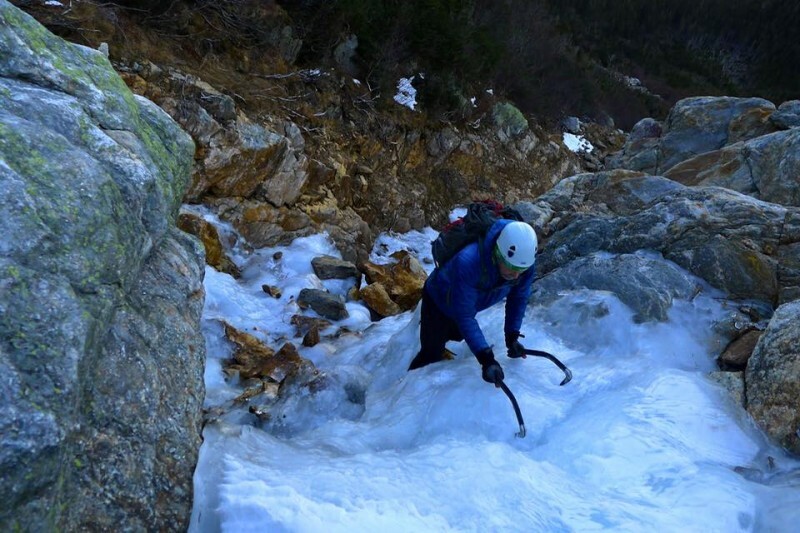 We’ve had thigh deep snow topping out of Huntington Ravine in October followed up by spring-like temperatures on the high summits for weeks with only splashes of short cold spells here and there. Usually I can get a sense of what the ice conditions will be like, but this year I’ve been off my game. 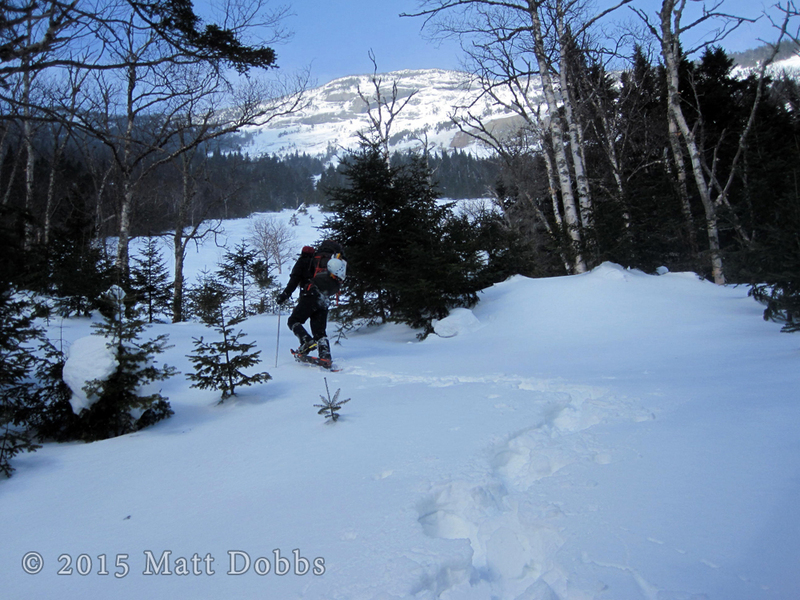 Two weekends ago, I stopped thinking about ice and went for a three day backpack in the Wild River Wilderness. Just this past weekend, I thought there wouldn’t be much to climb out there, so I donned my summer trail running shoes and headed up and around the side of Mt. Jefferson with some friends. I found out that evening, when my phone buzzed with picture messages, that I was dead wrong. 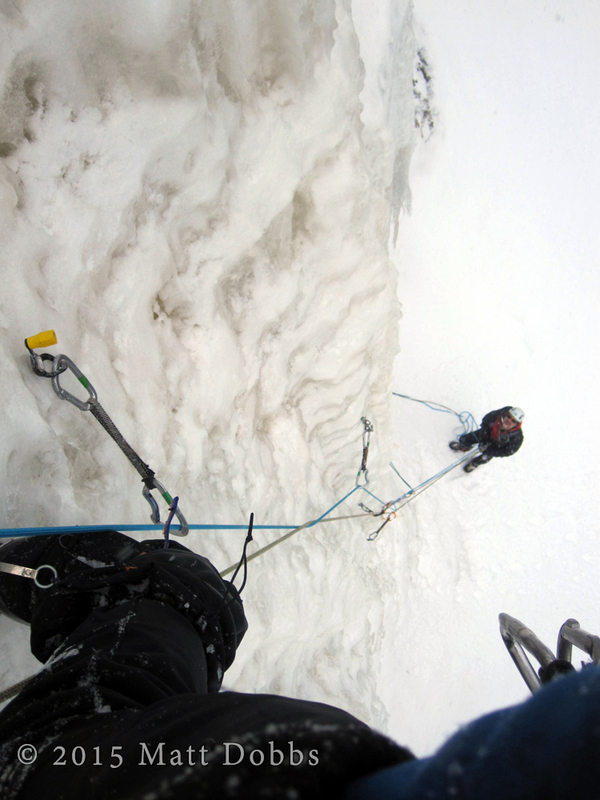 While I was in and over the clouds that day, there was a duo climbing what was likely the longest and fattest ice line in northeast as of that moment. 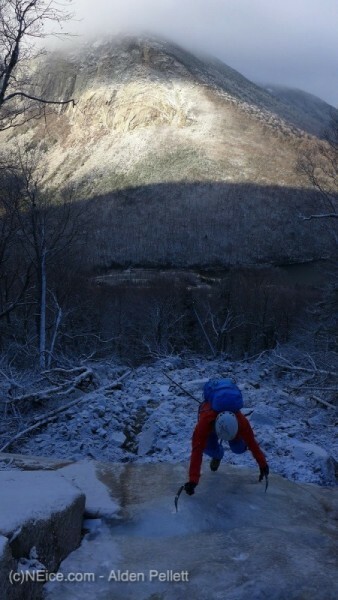 That was Hillman’s Highway in Tuckerman Ravine, and yes, there was a lot of ice. 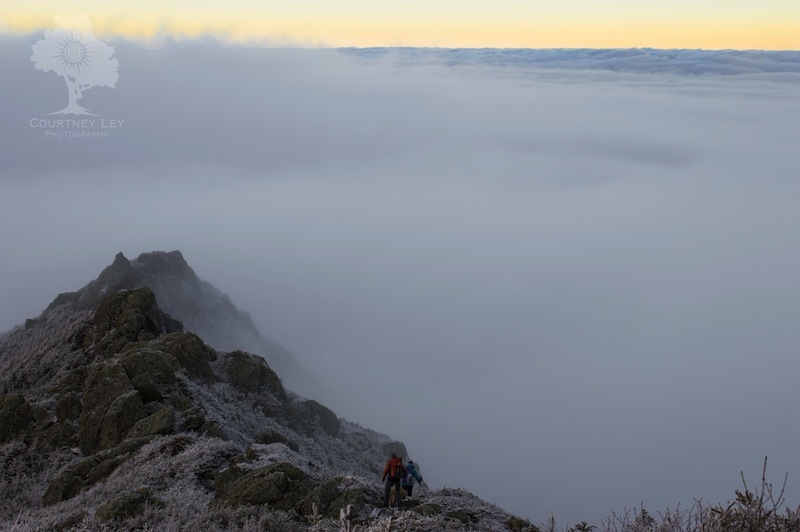 At least the beautiful undercast was worth missing out on the climbing action. 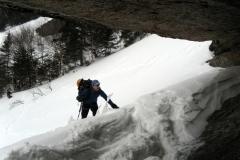 Others tackled Tuckerman Headwall on the day, the day before and the one after. 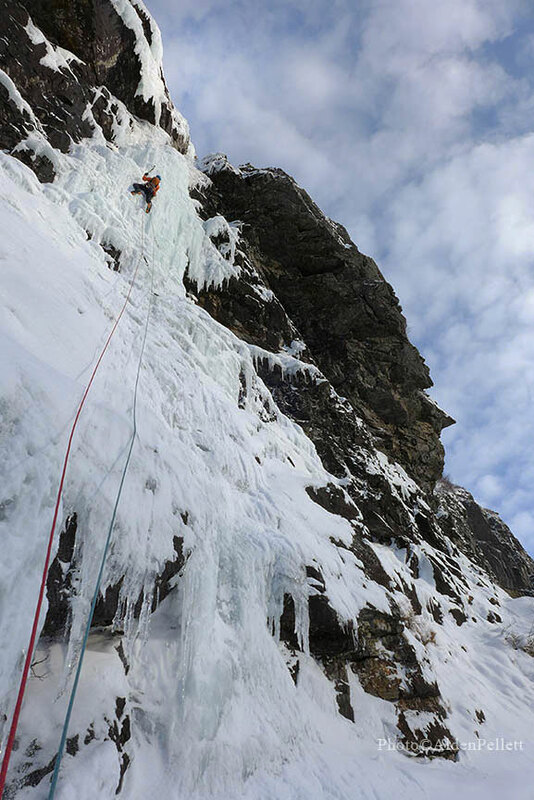 Despite it getting sun baked, the ice seemed to hang in there just enough. 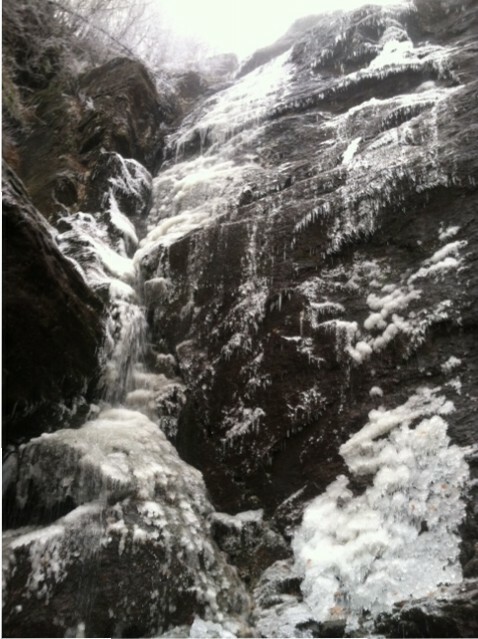 Huntington Ravine also saw some action, with Odells Gully, not surprisingly, seeing the most traffic. 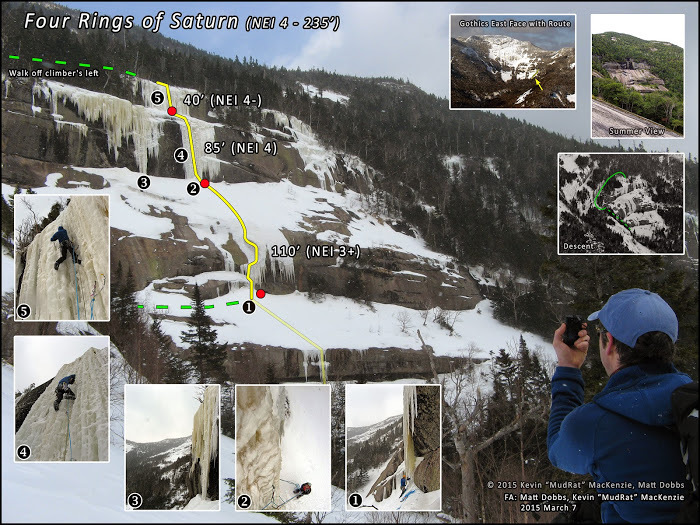 Check out the condition reports for information on those climbs. 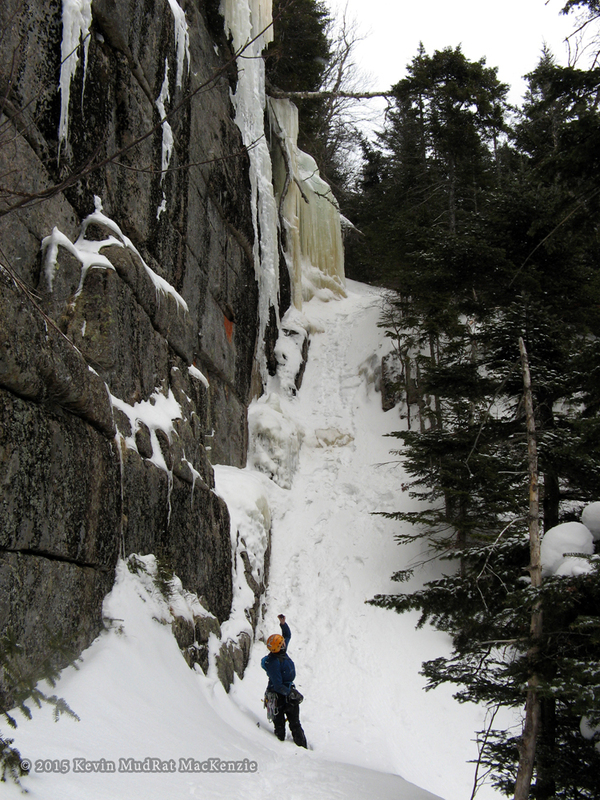 Elsewhere in New Hampshire, Alden Pellett explored the Big Slide area up Mt. 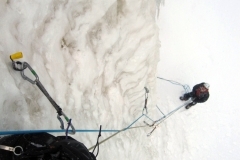 Lafayette on last Sunday to find a thin runnel of ice from bottom to top. 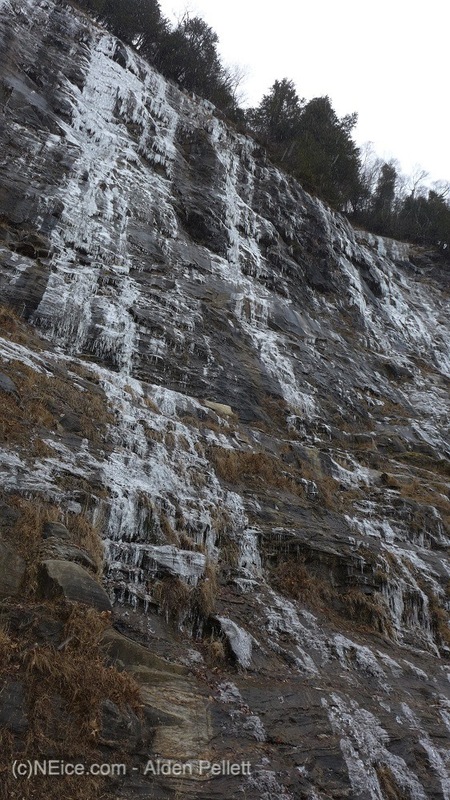 Up in Lake Willoughby, things are admittedly looking a little sad. This picture of the Center Tablets about sums it up. 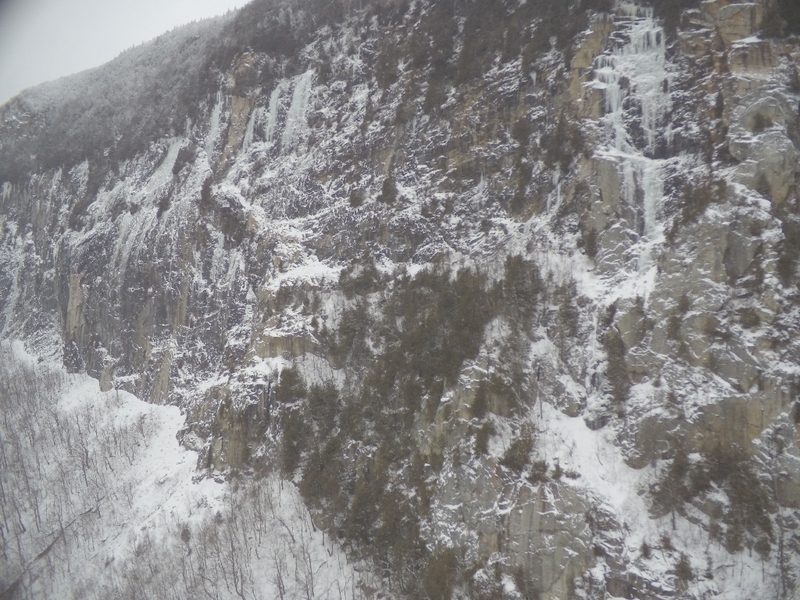 Smuggler’s Notch has been like a bad relationship: on, off, on and then off again. 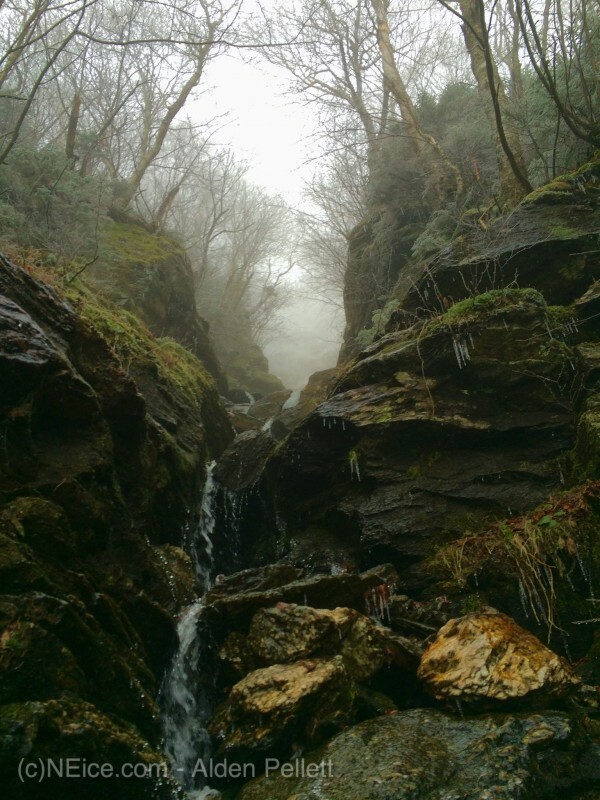 Like some mystical land, the routes appear and disappear in mere hours and at random times. 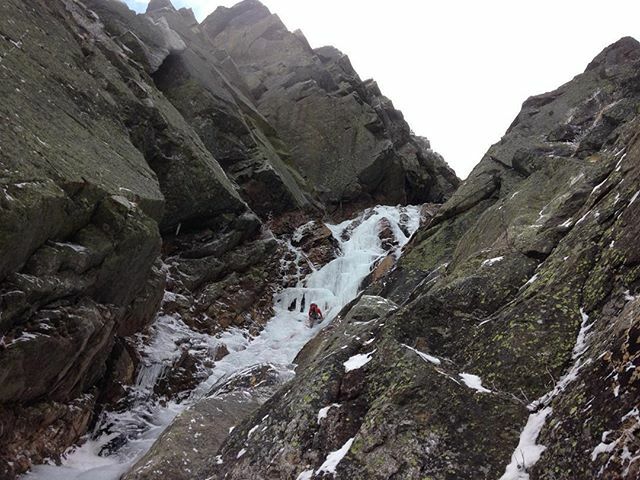 Reports from last Saturday in the notch confirmed there was a lot of moving water and some verglass on the rocks in the gullies but the ground wasn’t frozen yet. 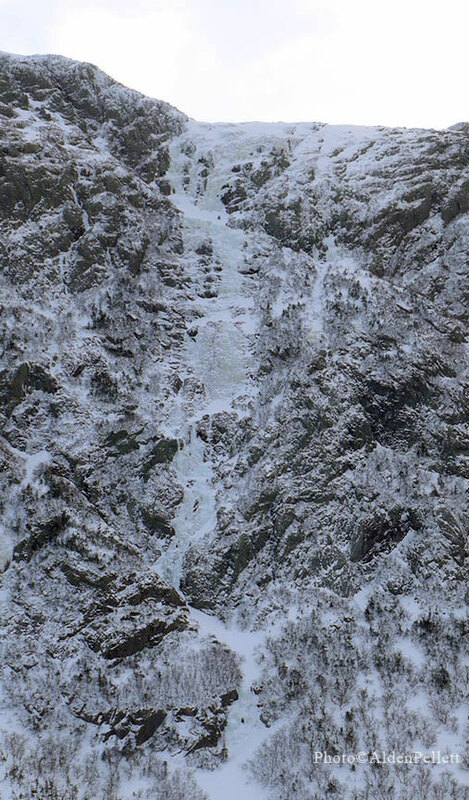 Jeff’s Slide appeared as a thin apparition and then disappeared again this week with the warm temperatures. But there’s hope! 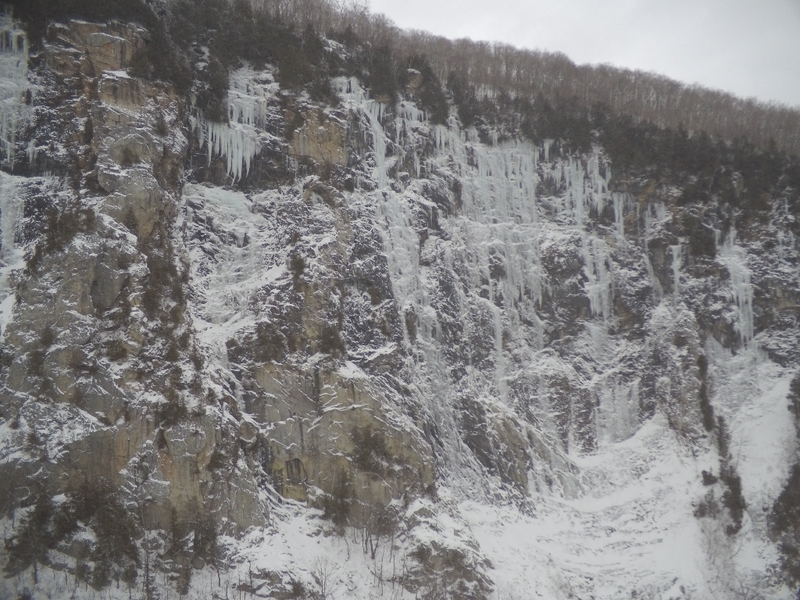 The road officially closed and I’m sure climbers will be heading in this coming weekend to see what’s there. 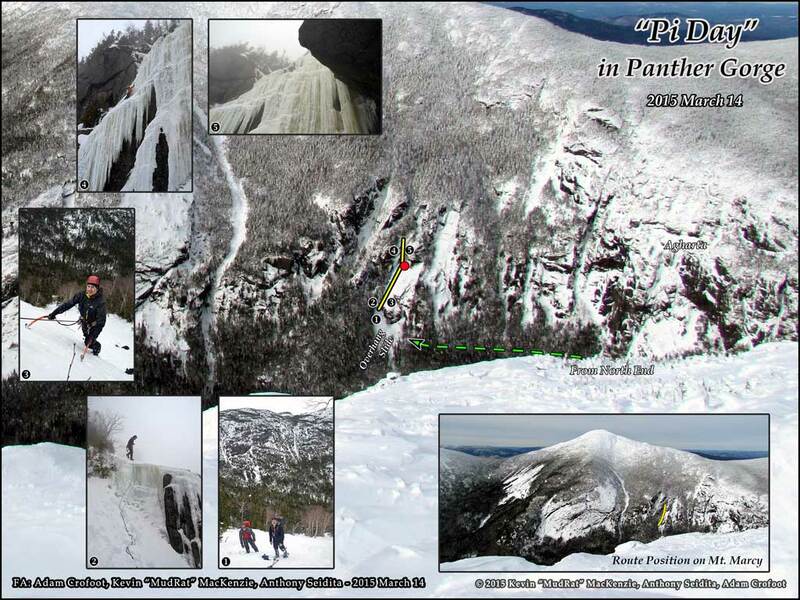 News has been quiet in the Adirondacks, but I’m sure that doesn’t mean the locals haven’t been climbing. 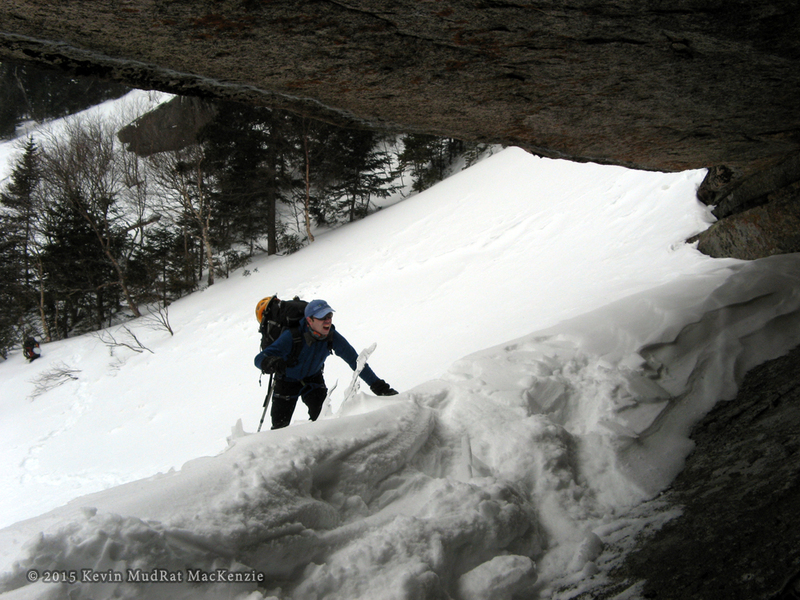 The last bird I saw told me Chouinard’s Gully was climbed in super thin conditions, but that was days ago and the way this season has been going, that fact becomes totally irrelevant. So what now? What’s going to happen this weekend? What the f&@k is going on with this weather? 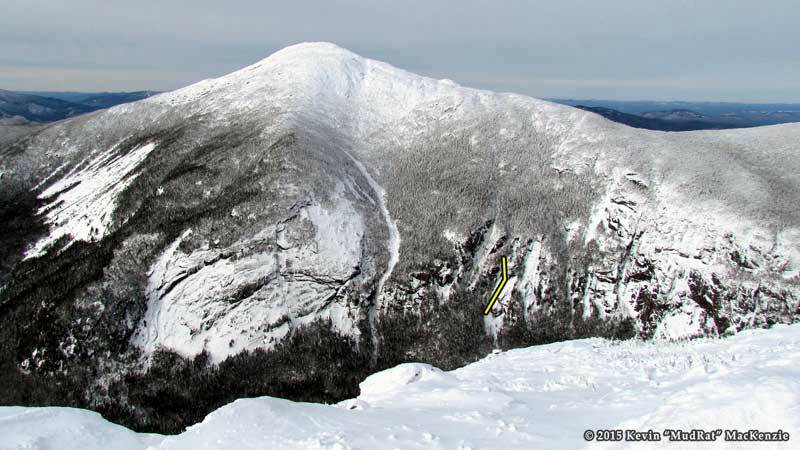 It’s anyone’s guess, but the forecast calls for a high of 40 degrees on the summit of Mt. Washington Saturday. 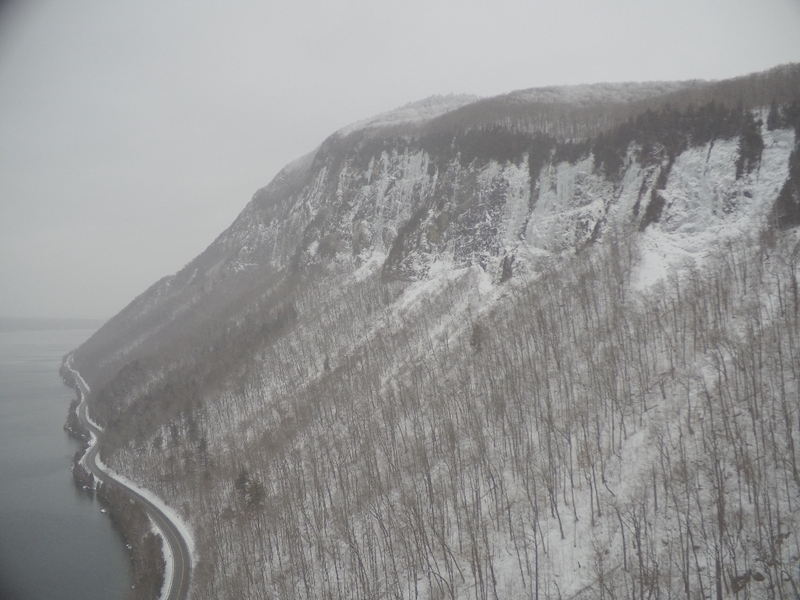 Go figure that it’s snowing and cold up there as I write this article. What’s been going on in your neck of the woods? 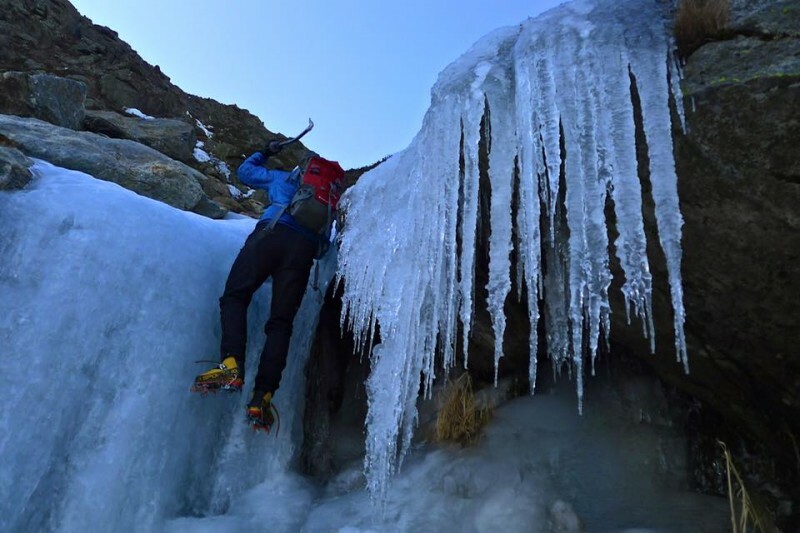 Find some good ice? Let me know at [email protected]! Till then, good luck out there! I’ll leave you with these videos, as they sum it up best. 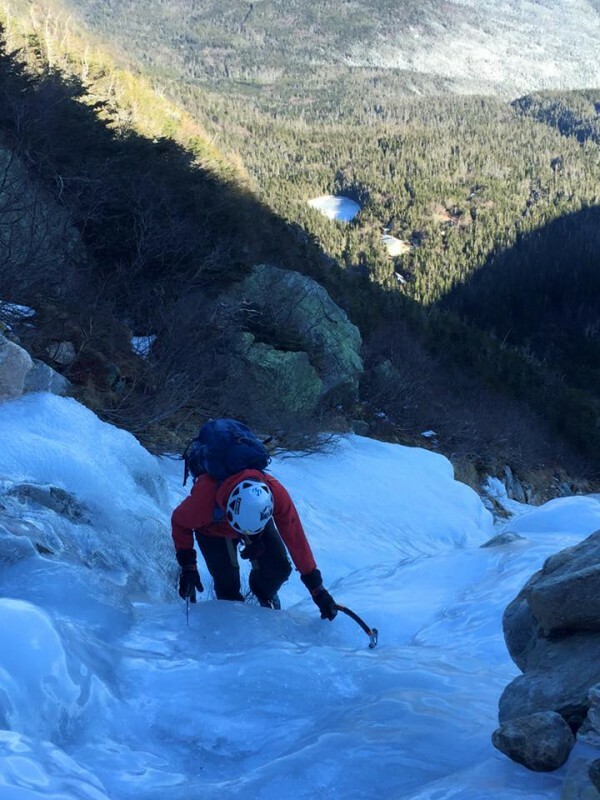 Some great footage of the changes in Tuckerman Ravine, courtesy of NEice Community member, Matt Bowman! Thanks for sharing these. Special thanks to Nick Yardley, Alden Pellett, Tim Farr and Matt Bowman. https://www.neice.com/wp-content/uploads/2015/12/WTF-Smuggs.jpg 481 600 NEice Admin https://www.neice.com/wp-content/uploads/2017/10/2012_NEice_logo_oval_blk6-1024x350-300x103.png NEice Admin2015-12-04 13:50:512015-12-04 13:50:51December UPdate - What the f&@k? 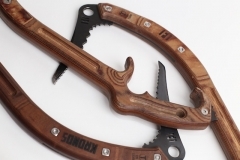 We are extremely proud to finally release the KRONOS Wood Ice Tool. You can get yours HERE. 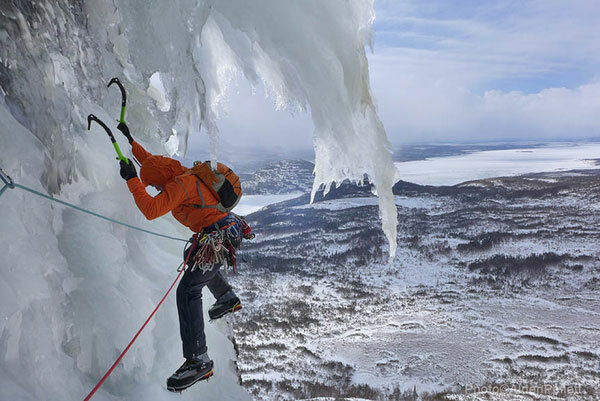 Climb safely and in good style. https://www.neice.com/wp-content/uploads/2015/11/Kronos-2.jpg 427 640 NEice Admin https://www.neice.com/wp-content/uploads/2017/10/2012_NEice_logo_oval_blk6-1024x350-300x103.png NEice Admin2015-11-18 14:52:352015-11-18 14:52:35The KRONOS is HERE! DMM is not well known in the US. 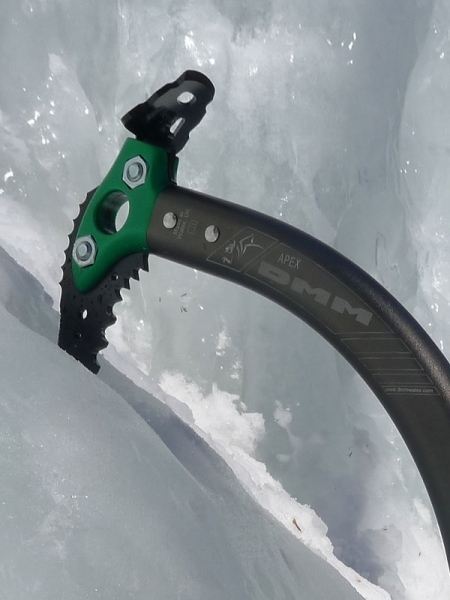 When you think of ice tools, you think Petzl, Black Diamond , Grivel and most recently Cassin, not DMM. 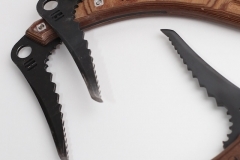 Well once you have a look at these tools, you will start thinking about DMM. 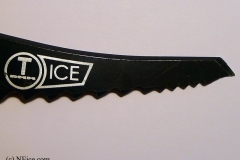 In mid February, DMM gave NEice some of their newest ice tools to review. 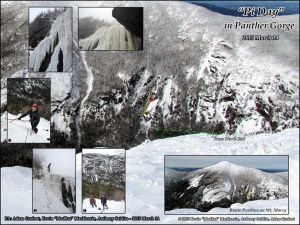 Since then we have tested them at Lake Willoughby, Cannon Cliff, Crawford Notch and Frankenstein cliff. 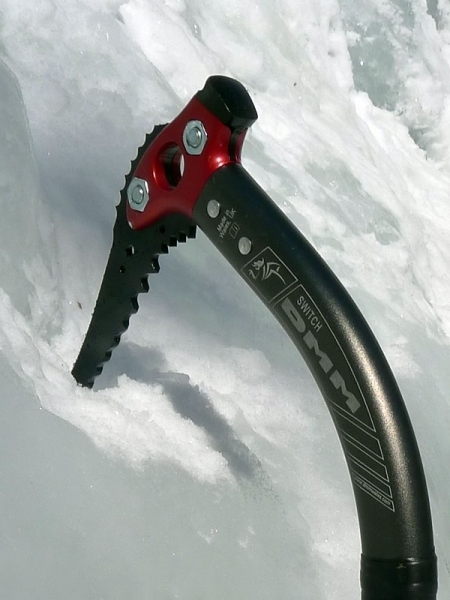 We have climbed ice from 3+ to 5+ in temperatures ranging from -5 to 45 degrees F. In all, we logged over 100 hours of climbing with these tools and they are fantastic! 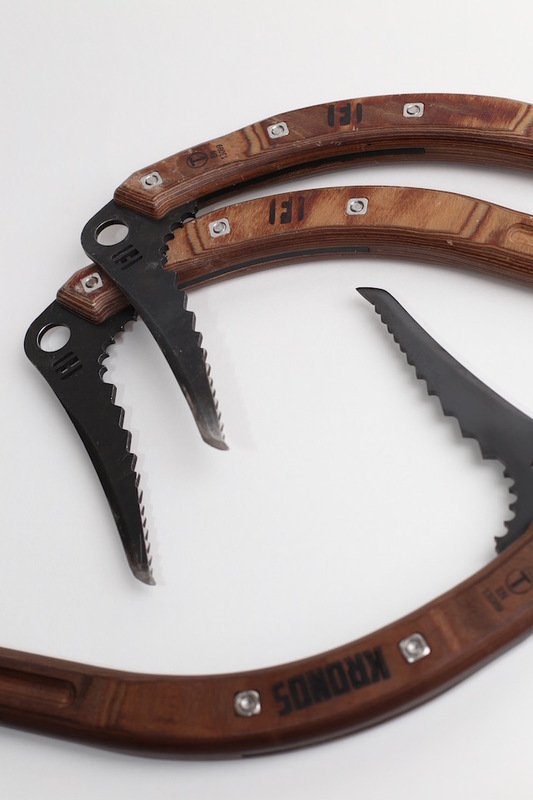 The first thing you will notice about the tools is the quality. The manufacturing of these tools is some of the best I have seen. 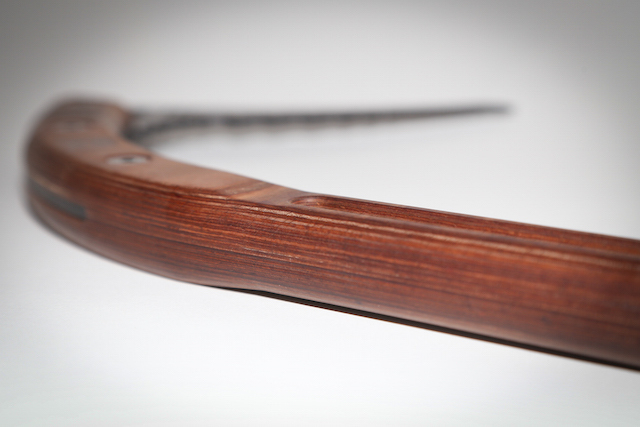 DMM has been around since 1981 and it shows in the construction and design of these fine tools. 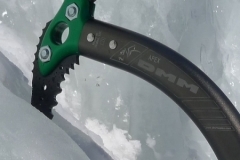 I was lucky enough to demo pair of DMM Apex tools (thanks NEice.com). From the first time I held them I could tell that they were my next gear purchase. I’m not going to spend time on specifications, that’s what Google is for, I’m not technical enough to know why they matter. 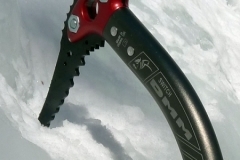 What I do know is these tools are perfect for the climbing I do and affordable enough that I’ll have new tools and enough left over to pay the tolls between me and the ice. The first climb on the DMMs was a moderately steep pitch of 4 ice. A few swings of the Apex and I felt like they had been mine for years. The grip fit my hand well and the tool felt balanced, a little less top heavy than the Cobra. 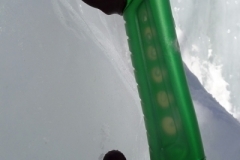 Although the shaft is straighter clearance between my hand and the ice was more than enough. 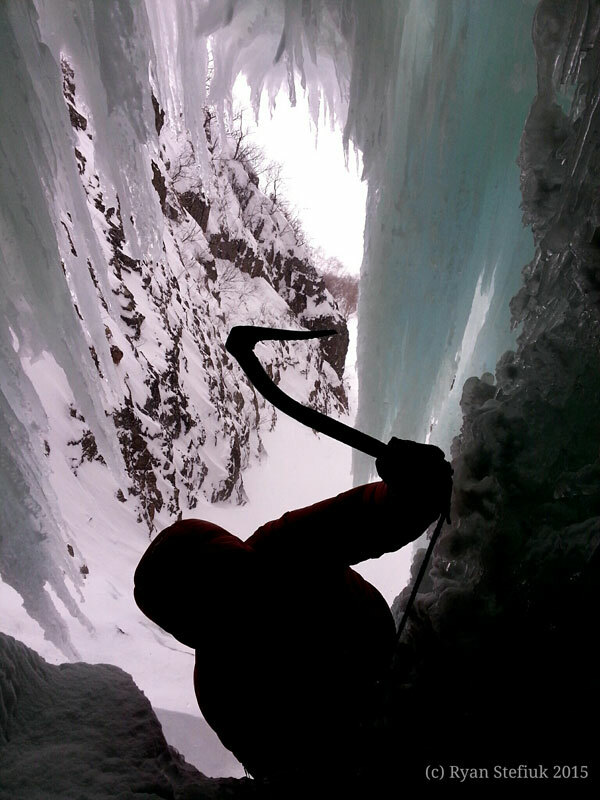 The Apex felt more like the Petzl Quark then the Cobra having a different pull which you could feel in the angel of the wrist. Bottom line… If you’ve been climbing on Vipers, Cobras. Quarks. etc. 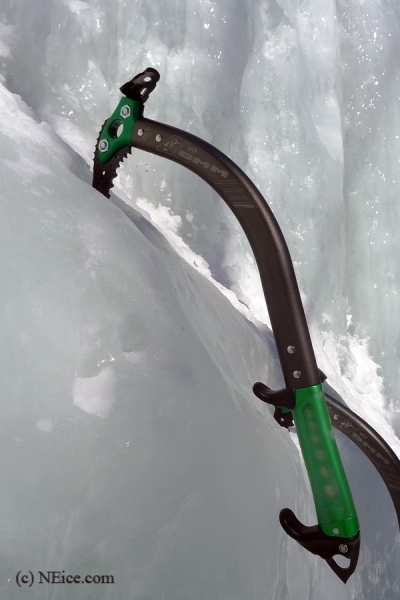 and dreaming about a more technical tool that climbs and canes even better, the DMM Apex is your next set of tools. 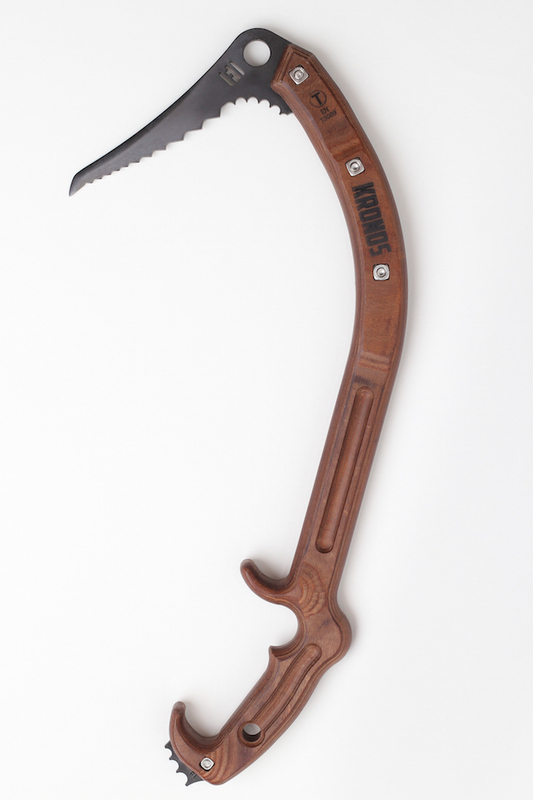 When you consider price and performance of this tool there is no better for the majority of mere human climbers. I have used Nomics for years and I was curious about these tools. 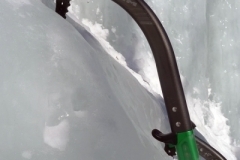 They are slightly heavier than the Nomic but the extra weight feels good and requires less swings in hard ice. The Pick weights are included but I found I did not need them. 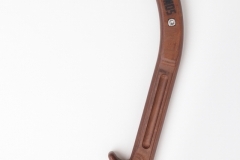 At about 1 inch longer than the Nomic it was easier to reach for better holds. 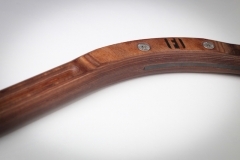 The tool is fully T rated and you will not be able to break any part of this sturdy tool. 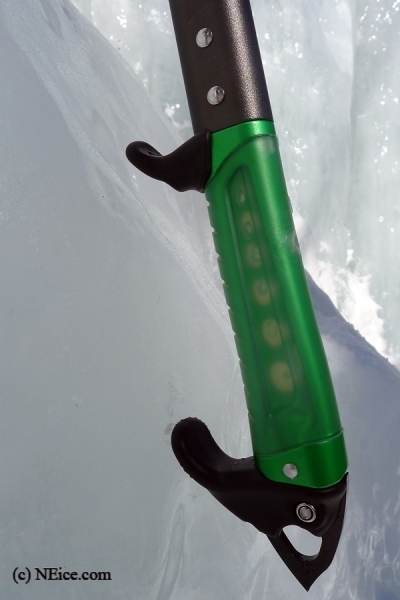 The hand grips of the Nomic feel fragile and weak in comparison to the Switch. 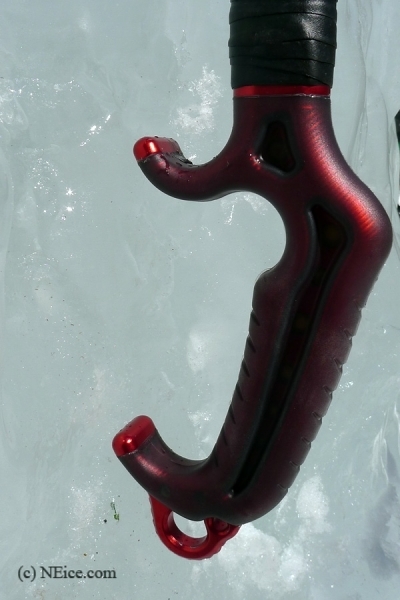 The handle is glove friendly, hot forged ergonomic with full strength upper and lower rests. If you use different gloves in different conditions you will like this grip and big hands fit well. 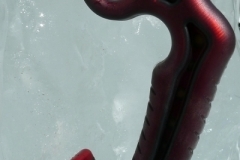 The coating on the handle is great, I never felt like I was slipping out, even on overhanging ice. The swing of the tool is perfect too and so natural. I am a carpenter and I know a good swinging tool when I feel it. 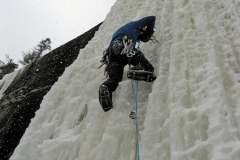 The picks come with the perfect shape for ice or mixed climbing and are pre-tuned. I never touched the picks with a file. 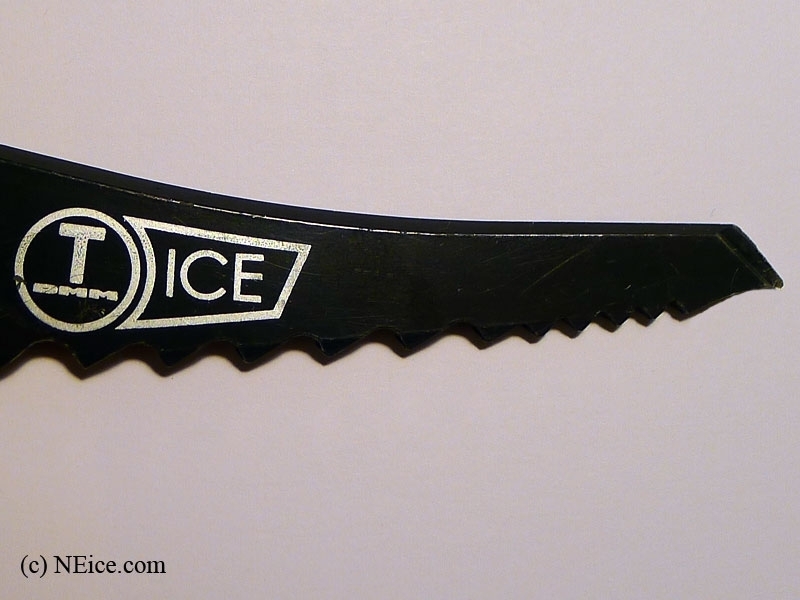 The Picks go right in, and come right out, no problem, yet they feel really sticky and secure in the ice. 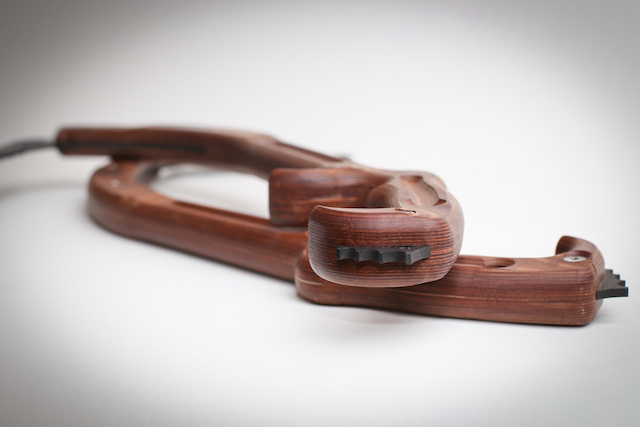 The Switch as it’s name implies remains in balance when switching hands on the rests. 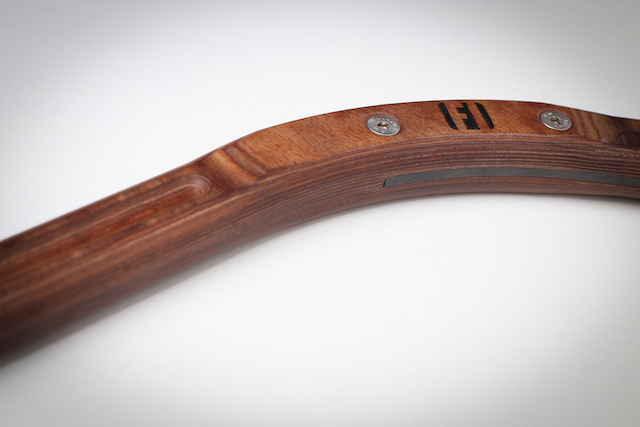 The only concern of mine is how the coating on the handle will hold up over time. So far, so good, not even a nick. 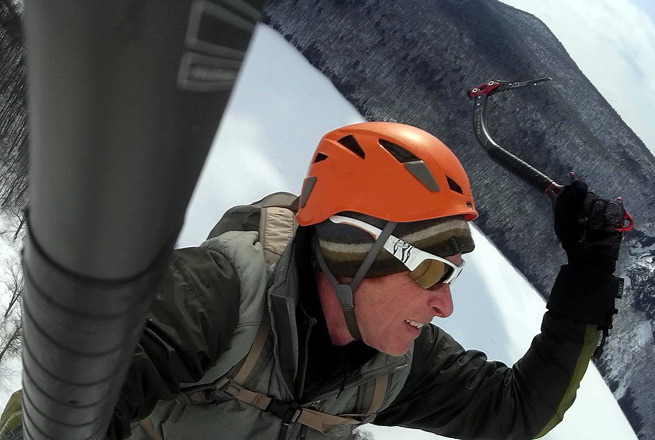 Bottom Line…I have switched from Nomics to the Switch, and I have loved every moment of the last 6 weeks climbing with this tool. The Switch is now my tool of choice.